We rarely see colorful ensembles on the red carpet, let alone a literal rainbow gown. 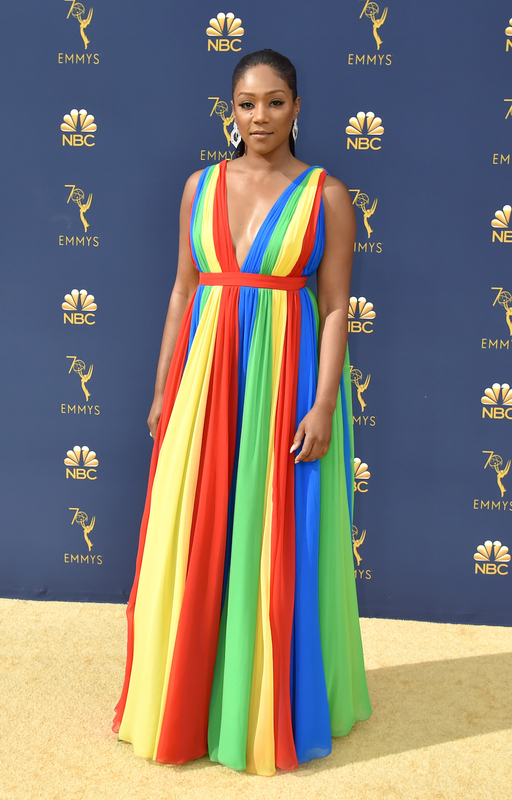 However, leave it to Tiffany Haddish to break all of the fashion rules, because she lit up the 2018 Emmys red carpet in primary colors. On Monday, September 17th, Haddish stepped out at the star-studded event in a rainbow confection by Prabal Gurung. Haddish looks just exquisite: her outfit is a refreshing change of pace from the blush and sequin-covered gowns we typically see on the red carpet. Some have compared her dress to Lena Waithe’s 2018 Met Gala ensemble, while others have pointed out that she’s paying homage to her late father and representing Eritrea, his birthplace. Most have noticed that the colors on her dress are the same as the flag. This wouldn’t be the first tribute to her dad, either. She honored him at the 2018 Oscars in a royalty-inspired gown. 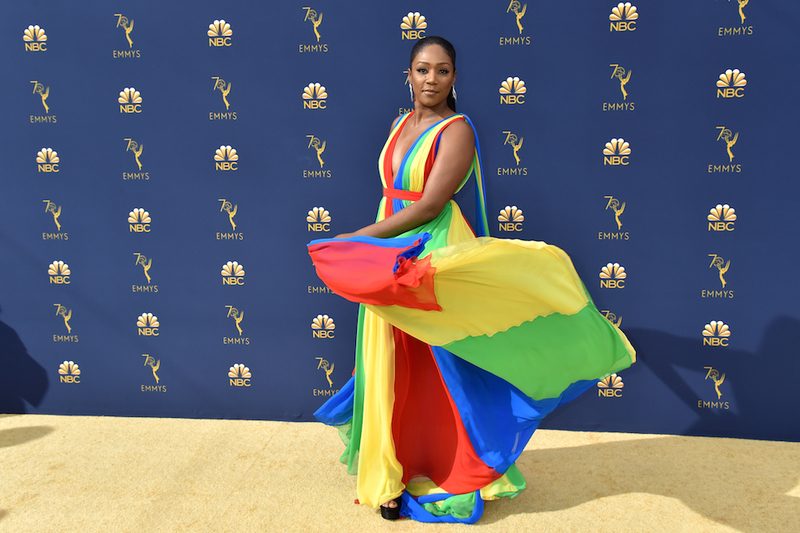 Haddish living her best life at the 2018 Emmys. We don’t blame her: she already won an Emmy for Outstanding Guest Actress in a Comedy Series for hosting SNL. The Girls Trip actress won the award during the Creative Arts Emmys on Saturday, September 8th. Tiffany Haddish, who won an Emmy for Outstanding Guest Actress in a Comedy Series for hosting Saturday Night Live, said she's mainly attending tonight's ceremony to pick up her award. We can’t wait to see what dress Haddish wears on the red carpet next. She never fails to surprise and delight.